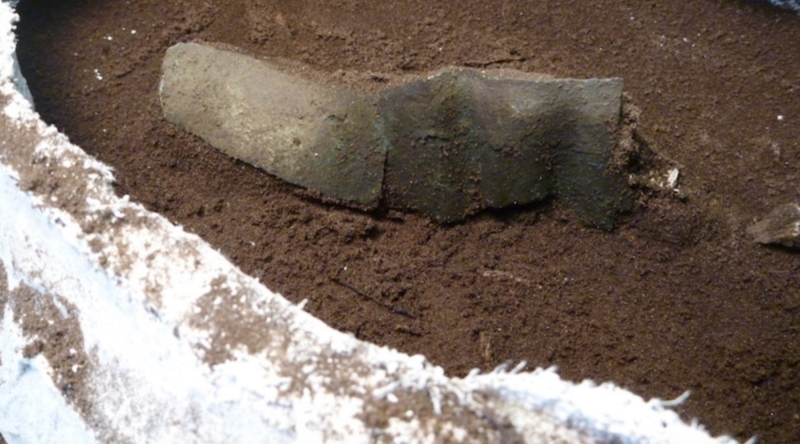 Copper band revealed during excavations. Photo by Matthew Sanger, Binghamton University. A copper band found in Coastal Georgia revealed that ancient Native Americans engaged in extensive trade networks spanning far greater distances than what has been previously thought. Discovered by a group of anthropologists, the band is slightly wider than a bracelet. It was located alongside the cremated remains of at least seven individuals at a burial site. According to the researchers, this is a rare encounter in the southeast part of the United States. Such a finding means that Ancient Natives moved thousands of kilometres across various regions that experts did not know were connected. In detail, the copper band was not manufactured from local materials but rather originated in the Great Lakes region, more than 1,500 kilometres away from the place where it was found. The researchers realized this after performing a Laser Ablation Inductively Coupled Plasma Mass Spectrometry on the metallic band to determine the specific composition of the copper band. "Copper sources each have their own unique chemical makeup, including very small amounts of trace elements. As such, archaeologists can match manufactured objects to their sources by comparing their chemical signatures, or 'fingerprints'," the scientists said in a media brief. This discovery in particular extended previously documented boundaries of Archaic Period copper exchange by nearly 1,000 kilometres. "While we still struggle to understand the nature of these trade networks, our findings suggest that they moved not only objects (such as the piece of worked copper we recovered) but may also be a pipeline through which belief systems, cultural values and societal norms were also exchanged. The possibility that information also traveled along trade networks is evidenced by the shared use of cremation found alongside the exchange of copper between the two regions,” Matthew Sanger, assistant professor of anthropology at Binghamton University, said in the statement.